Despite losing all three matches at group stage, Pakistan did a great comeback by beating the Netherlands 4-2 in the quarterfinal and stormed into the semifinals of the Hero Champions Trophy Hockey. India too prevailed over Belgium 4-2 to book a berth in the semis. The arch-rivals will take on each other today. A nail biting finish is on the cards, as the Hockey lovers will throng to Kalinga Stadium in Bhubaneswar to witness the biggest sports extravaganza of this year. In the other semifinal, Australia will take on Germany, which stunned England. Australia ended the winning streak of Argentina in the quarterfinals. Many predict an India-Australia final. 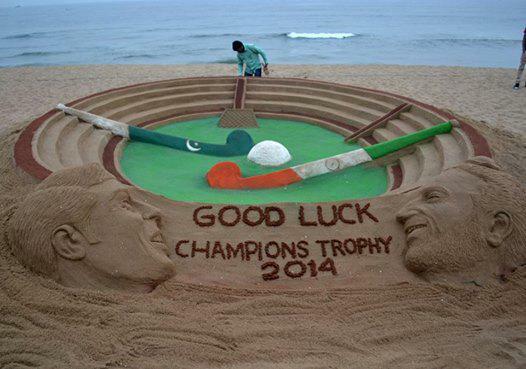 But, it would be interesting to see if India can overcome the Pakistani challenge in the semis or not.